William Shakespeare is widely regarded as the greatest writer in the English language. The poet, playwright and actor is the bestselling author of all time. Born in Stratford-upon-Avon around 1564, he was a successful playwright and actor in London by the end of the 16th century. Also known as the Bard of Avon, Shakespeare wrote about the Kings and Queens of England. 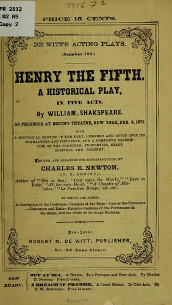 His 37 plays covered four main genres; comedy, tragedy, history and romance. 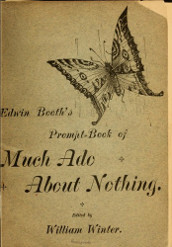 Some famous comedies include The Merchant of Venice and Much Ado About Nothing. 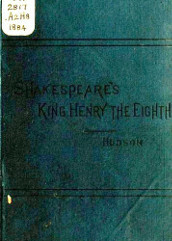 His historical plays dramatized past events, notably the War of the Roses in Richard III and the three parts of Henry VI. 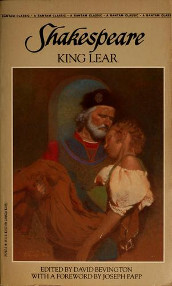 Later, he moved more towards tragedy, with Macbeth, King Lear, Othello and Hamlet. 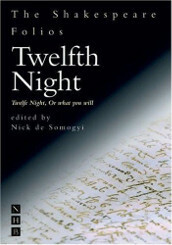 Shakespeare’s work has had a profound influence on English literature and on the English language. The interesting characters that he created have stood the test of time, and more than 400 years on, his plays still captivate audiences around the world. We’ve selected 25 free Shakespeare plays in audio book format which you can listen to online or download. Remember you can also find thousands of more free audio books on our site. 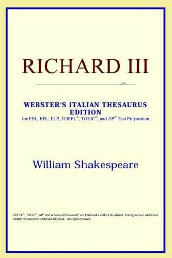 No introduction is needed for what it is definitely the most famous of Shakespeare’s works. The story of the Montagues and Capulets is still a current favorite. Set in Verona in Italy, the feud between the two families leads to tragic events, after Romeo (a Montague) and Juliet (a Capulet) fall in love. The fate of the two young lovers is sealed, as they would do anything to be together. 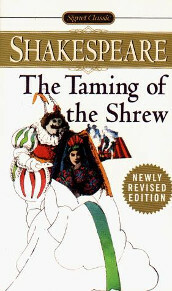 One of Shakespeare’s earliest works is the Taming of the Shrew. At the beginning of the play we see a nobleman trick a young drunken man into believing he is also a nobleman. 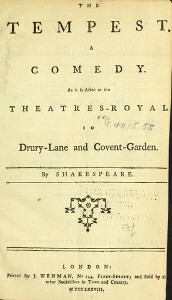 Seen as a comedy, this play often causes controversy with it’s content. Sexist, funny, misogynistic and ironic are words often used to describe this play. A fanciful comedy that surrounds the events of the marriage of Thesues and Hippolyta. Nothing is what it seems with Athenian lovers and actors who are controlled by fairies that live in the forest. 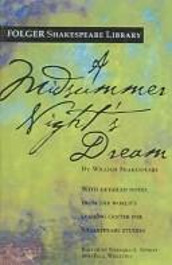 Some great characters appear in this play, notably Hermia, Lysander, Helena and Demetrius. 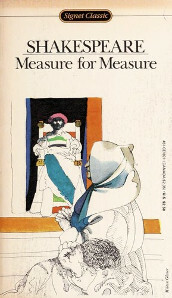 A magical read that is often compared with the magic flute. 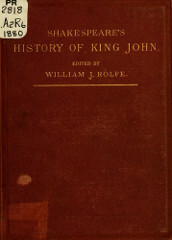 A historical play that dramatizes the reign of King John of England , son of Henry II and Eleanor of Aquitaine. With no Magna Carta or Robin Hood mentioned at all in this play, it is a depiction of a King John that is different to what you may think. 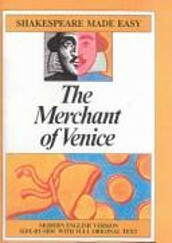 The poor Bassanio uses the credit his friend Antonio, the merchant of Venice, to borrow money from the wealthy Shylock. Bassanio plans to use the money to woo Portia, a rich heiress. The play has a stereotypical portrayal of Jewish people and has been branded antisemitic. However, it’s hard to know what Shakespeare was thinking 400 years after the event, and whether he was just trying to highlight the plight of the Jews. A lesser known comedy that deals with middle class life during the Elizabethan period. 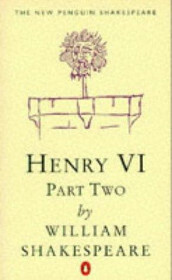 It focuses on the fat knight, Sir John Falstaff, who also appears in Henry IV part I and II. Falstaff is a disgusting old man with a terrible attitude towards woman. 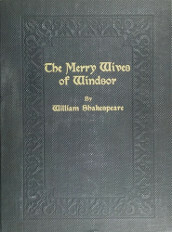 He doesn’t bargain however for the merry wives of Windsor, who give him the lesson he deserves. Another festive comedy. The men are back from war and everyone is ready for romance! Benedick and Beatrice are duped into confessing their undying love for each other, while the dashing young Caludio has fallen for the beautiful Hero. He is also tricked into rejecting her at the alter on their wedding day after he believes that she has been unfaithful. This is probably Shakespeare’s most famous historical war play. It depicts the defeat of the French by the English at Agincourt in the 15 century. 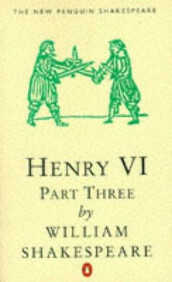 The ambitious King Henry V wants to become leader of the two nations, and in the play we see Shakespeare glorify war as choruses sing out urging the troops into battle. Based on true events, the tragedy of Julius Caesar is a historical play about his assassination and the aftermath of the event. It is one of a few plays that Shakespeare wrote from Roman history, which also include Coriolanus and Antony and Cleopatra. Heroine Rosalind flees persecution in her uncles court accompanied by her cousin Celia. They head for the forest of Arden in search of safety where they come across numerous characters along the way. Rosalind falls for a small man, Orlando, who beats the wrestler Charles in a fight. This supernatural drama is another Shakespeare classic that is widely read and performed in schools. After the death of his father, the Prince of Denmark, Hamlet returns home to find his uncle has taken the throne and married his mother. 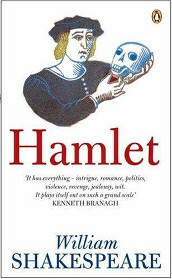 The ghost of his dead father then reappears and accuses Hamlet’s uncle of murder. This play is a romantic comedy that tells the story of twins separated by a shipwreck. Cesario, who is Viola disguised as a man, falls in love with Duke Orsino, who in turn is in love with wealthy countess Olivia. The chain is complete when Olivia falls in love with Ceserio, who she thinks is a man. A great laugh for the close of the Christmas season. A passionate play in which the Duke appoints a young deputy, Angelo, to enforce the law more rigorously throughout the city. His first victim is Claudio, who is sentenced to death for impregnating his lover Juliet out of wedlock. Exploring justice and equality, we see just how terrible the inexperienced Angelo can be, but is it all his fault? This play depicts the cross-cultural romance of Othello, a general in the Venetian army, with Desdemona, a pretty Venetian lady. The newly-weds face the dark side of one of Othello’s junior officers, Lago. The scheming young man succumbs to his jealousy and plots to destroy the relationship between the two newly-weds. A tragedy that is often cited as being the greatest of his tragedies, and one of the most famous plays ever written. King Lear abdicates the throne and divides his Kingdom among his 3 daughters in proportion to their processed love for him. His youngest, Cordelia, refuses to follow her fathers wishes however, and in turn is banished and no inheritance is passed to her. 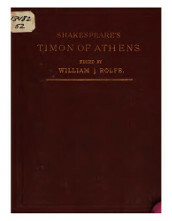 A more obscure tragedy about the fortunes of Athenian Timon. The generous man wastes all his riches on his friends, only to find corruption as the people hanging around him want just one thing. Timon eventually becomes poor and all the hatred leads to his death. 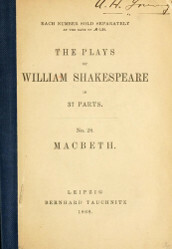 Macbeth is one of Shakespeare’s darkest tragedies. Set in Scotland, it tells the story of the politically ambitious Lord Macbeth who chooses evil to gain power. Spurred on after receiving a prophecy from 3 witches that he will become King of Scotland, he kills King Duncan to take the throne. His murderous ways continue, eventually plunging the country into civil war. 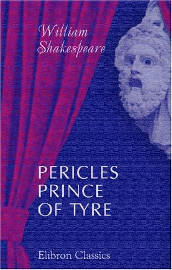 To win the hand of the King’s daughter, Pericles must answer the riddle set for him by the King. If he fails he will be sentenced to death. On the other hand by exposing it, he will reveal the incestuous relationship between father and daughter. 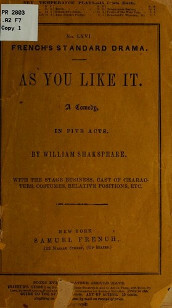 One of Shakespeare’s last plays. The sorcerer Prospero is in exile, living on a remote island with his daughter Miranda and two opposing spirits, Ariel and Caliban. Prospero wants to restore his daughter to her rightful place. He uses his abilities to conjure up the tempest. A romance tragicomedy that is one of Shakespeare’s greatest. 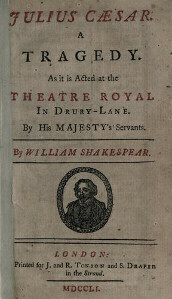 Said to be written before Part I, this play focuses on the King’s inability to stop the quarreling nobles, the death of the Duke of Gloucester, and the rise of the Duke of York. By the end of part II we see the opening battle of the War of the Roses. A historical play set during the lifetime of King Henry VI of England and deals with the loss of England’s French territories and the build up to the War of the Roses. The third part has the most battle scenes of any Shakespeare play. Following on from the events in part II , we see Henry disinherit his son in favor of the Yorkists, who have just seized power. 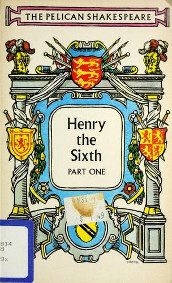 This will allow Henry to remain on the throne. The Yorkists have other ideas as they go back on the deal and try to take the throne from the King by force. 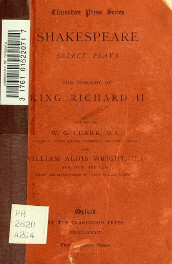 Following on from the earlier Henry VI plays, this tells the story of Richard, the Duke of Gloucester. The War of the Roses is over and Richard’s brother, Edward IV, is on the throne. The ambitious Richard will stop at nothing to take the throne from his own brother. 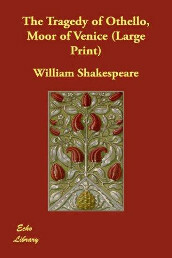 The first of 8 Shakespeare plays about the War of the Roses. A tragic historical drama that depicts the famous fight for the throne of England just before the time of Shakespeare. 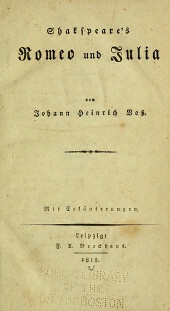 This is believed to be a collaboration between Shakespeare and John Fletcher. Telling the story of Henry VIII, King of England, the focus is from the time before his divorce from Katherine of Aragon, to the christening of his daughter Elizabeth. 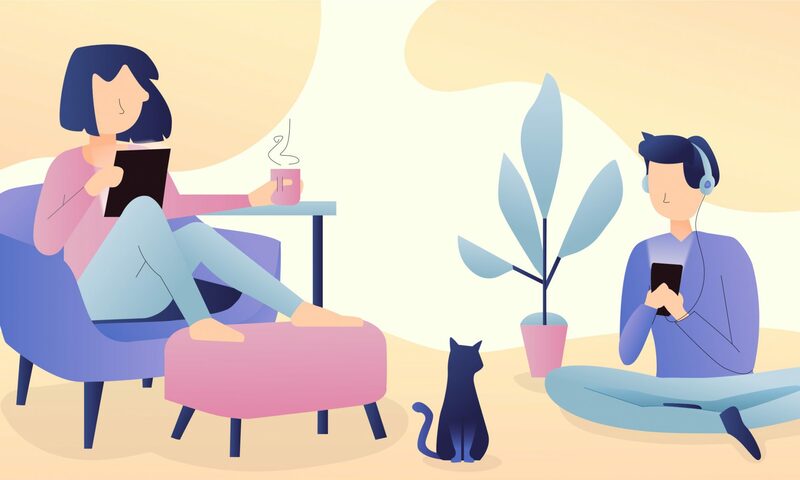 Explore thousands of free audio books and eBooks at digitalbook.io.